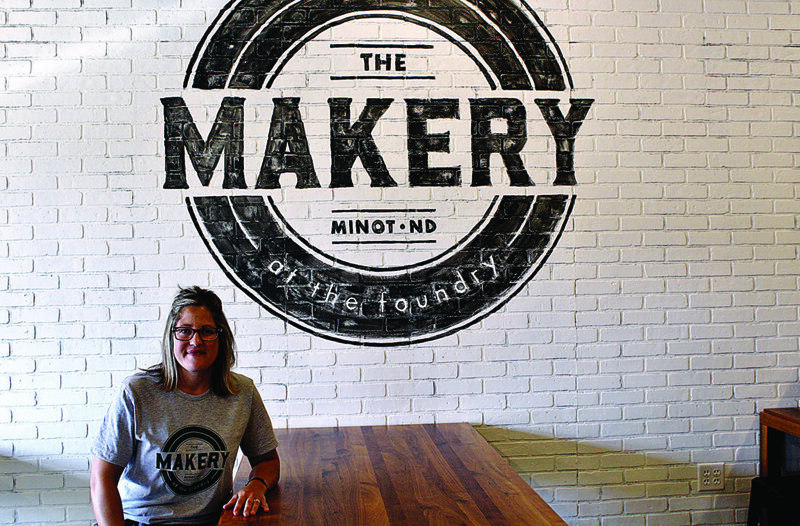 Rachael Walz, owner of The Foundry poses for a photo in the new Makery addition Thursday during their grand opening. Shabby chic styles and reclaimed pieces are a staple in homes throughout the state. The Foundry has been a place to find the perfect rustic addition to the home. With the addition of The Makery, they are encouraging people to make their own projects to display. 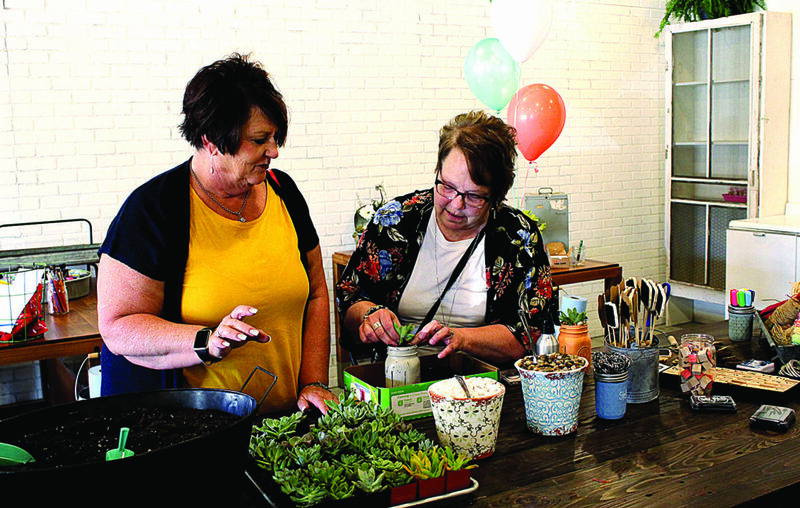 Minot residents Sharon Cargo and Shelley Hoiby plant a succulent in a Mason jar at one of the Make-n-Take stations in the new Makery addition at The Foundry during their grand opening. Walz was hosting workshops out of the original store area which created a few problems. Each class allowed only 16 participants and were constantly selling out. The workshops sometimes prevented the store from being open as the space was needed for the classes. Opening the new workshop space allows The Foundry to lead larger classes while also allowing the store to remain open during those times. “It was just for more flexibility, more freedom,” Walz said. The classes offered from The Foundry are limitless. 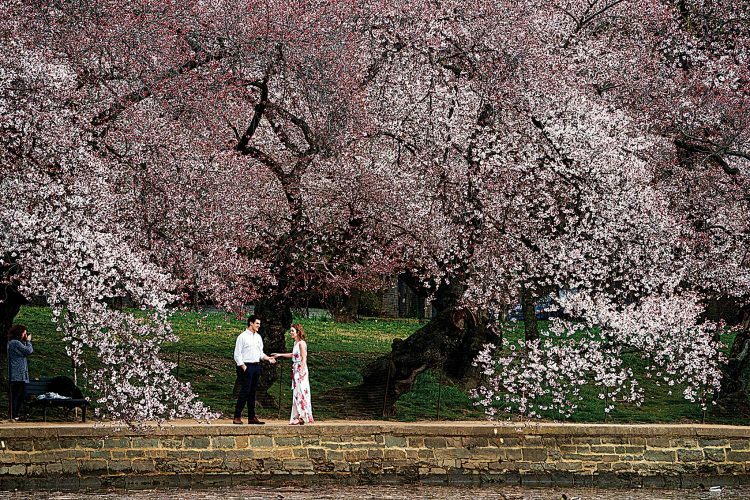 In the past, they’ve done jewelry stamping, sign making, towel stamping, succulent bars and also host birthday parties for kids. “The parents love that because they leave the mess here (at the store),” Walz laughed. 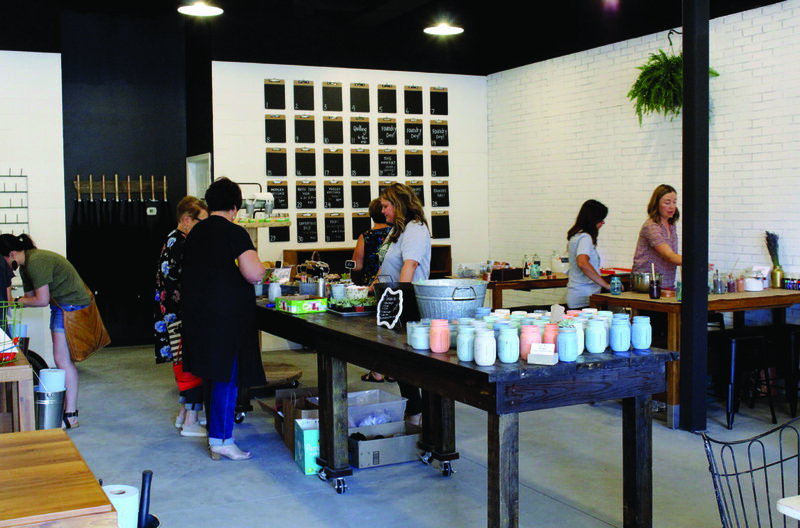 Guests check out the new Makery space at The Foundry during their grand opening Thursday. The Foundry is located at 1407 South Broadway, Suite C, next to Pizza Hut. With the additional space, Walz wants to add classes like knitting, centerpiece boxes, rustic porch signs and more. There are three different ways people can sign up for classes. In the new workshop space, a calendar is set up on the back wall with different classes listed throughout the month. Guests can choose a class they would like to attend in-store and pay to reserve their spot. The Foundry also has a Facebook page, @TheFoundry.Minot, where people can sign up for the classes through the events tab. Finally, they sell tickets through Eventbrite. To purchase tickets, visit eventbrite.com and search “The Foundry” in Minot. Currently, The Foundry has 40 different makers who sell their products and finds. To make the store more cohesive, items are mixed together in displays. The Foundry works closely with local, small business owners to help those businesses grow. To learn more about The Foundry and The Makery, visit their Facebook page or visit their store located at 1407 South Broadway, Suite C, next to Pizza Hut.